The Pittsburgh Steelers have been dealing with a handful of injuries this week after a shootout with the Seattle Seahawks in week 12. The only player that has been listed as ‘out’ against the Indianapolis Colts is linebacker Sean Spence who suffered a hamstring injury. Tight end Heath Miller is listed as questionable after suffering a rib injury that limited him in practice this week. Miller to Get a Bigger Look in the Steelers Offense in 2012? 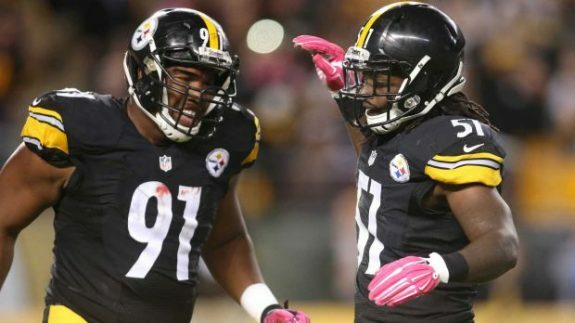 Be the first to comment on "Steelers Without Sean Spence Against Colts in Week 13"